A spaceship crew, during their interstellar travel loses control of the spaceship for a few hours due to external factors (exact factor not important). This causes the spaceship to deviate from its original course. The deviation is sudden and large (imagine the spaceship spinning(?) in space during deviation). The question is, once the crew stopped the spaceship from spinning, how are they going to re-orient it along its original direction? What reference points can one use in space? I think one cannot use distant stars as reference points since we only know stars by their geocentric coordinates. So, is there anyway for my space travellers to save themselves or are they doomed?? I think one cannot use distant stars as reference points since we only know stars by their geocentric coordinates. With this you can locate the sun, by figuring out where the signals of 14 pulsars meet in a specific way. In flight, the ANS, which sat behind the reconnaissance systems officer's (RSO's), position, tracked stars through a circular quartz glass window on the upper fuselage. Its "blue light" source star tracker, which could see stars during both day and night, would continuously track a variety of stars as the aircraft's changing position brought them into view. The system's digital computer ephemeris contained data on a list of stars used for celestial navigation: the list first included 56 stars, and was later expanded to 61. The ANS could supply altitude and position to flight controls and other systems, including the mission data recorder, automatic navigation to preset destination points, automatic pointing and control of cameras and sensors, and optical or SLR sighting of fixed points loaded into the ANS before takeoff. According to Richard Graham, a former SR-71 pilot, the navigation system was good enough to limit drift to 1,000 ft (300 m) off the direction of travel at Mach 3. Also remember that in space you are always orbiting something. If you can figure your altitude from the barycenter and your orbital speed, you can calculate the shape of your orbit. Find any other two objects also orbiting that barycenter and, given database entries of those objects' orbits you may not only know where you are, but also when you are. If you've got a math geek with a knack for astronomy onboard, they may be able to calculate that with pen and paper just like old man Kepler and his pals used to. They will use the same equations that Kerbal Space Program uses to position your spacecrafts whenever you load a saved game. ... or if it was attacked with sand, or flew through other fine dust or debris, damaging external sensors, it may not be able to observe enough pulsars, or any, to get oriented. If that is the case, the solution is a technique called "dead reckoning" using an inertial navigation system. A combination of three gyroscopes strapped to the structure of the craft can be used to reorient it in the same direction it was headed before. Orient the craft so that the gyroscopes are oriented the way they were before losing control, and the craft will be pointing in the same direction it was originally. Note that this does not mean it will be pointing at the same location it was before; the craft will be oriented parallel to its original vector. In order to figure out how far the craft was displaced from its last known location, a set of three accelerometers can be used. This isn't as "simple" as just reorienting the craft's direction using the gyroscopes; the output of the accelerometers will need to be captured continuously, and calculus used to determine the path taken during the loss-of-control period. If the craft underwent acceleration a similar procedure can be used with the gyroscopes (capture data continuously, use computer) to get the correct orientation. In the case of the angular change, an integral is required, and in the case of position, a double integral is used. (The second integral of acceleration is position). The figure below shows the data flow. The integrals might look kind of scary, but they basically mean "add up all the changes that happened over a given period of time". You can imagine that the integral sign is a childrens' slide, and if you want to integrate, say, the flow of sand, you pour sand onto the top of the slide however you like. It slides down the slide-shaped integral, and accumulates in a bucket at the bottom. When you are done, the sand in the bucket is the accumulation--the integral--of the continuous rate of sand you were pouring, from start to finish, no matter how it changed. One other note about the figure: if the force of gravity is negligible, as it would be in deep space, you can ignore the gravity box. Accelerometers, gyroscopes, and computers might sound delicate or expensive, but small, solid state gyroscopes and accelerometers are already available. 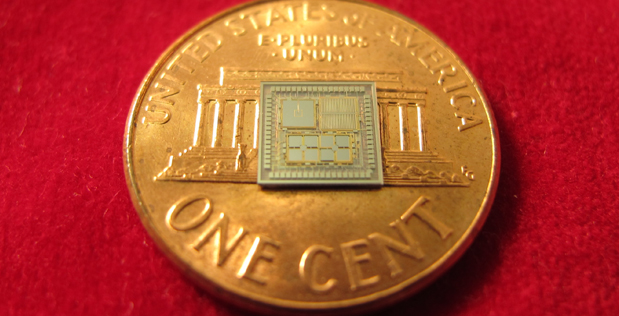 And in fact, there is at least one chip that integrates three gyroscopes, three accelerometers, and a high-precision digital clock on a chip smaller than a US penny. Here is a DARPA prototype from 2013. The computation required is easily handled by extremely inexpensive microprocessors. All of these techniques are subject to variance and drift, so it is unwise to depend on them solely, or for long periods of time, since they need occasional recalibration (from, say, looking at pulsars). However, if it was my spacecraft, I'd have an inertial system like this for backup, as well as a pulsar-spotting system, with plenty of extra accelerometers and gyroscopes. A lot of time in science fiction, and in real life space craft use pulsars to navigate. We also know geometry, and if know the geocentric coordinates and the present coordinates, we can determine the displacement vector between the two, which give us the desired information: where are we in space. One or more wide field images can help in finding known stars, and from there determine the rotation with respect the last known position. Mind that, knowing the trajectory up until before the incident, the maps are quite updated. If you're relying on near-future (i.e slower-than-light) tech, getting lost in deep space would take a long, long time. The crew is on a journey of light-years, and in the worst case scenario you'll only be off course by a matter of light-hours. For example, suppose you're travelling from Earth to Alpha Centauri. The propulsion systems that we currently have and expect to have in the near future are most efficient when they provide a little bit of thrust over a long period of time. As such, it's likely that the ship would start out at Earth and start accelerating toward Alpha Centauri until it reaches the halfway point, where it would turn itself around and begin decelerating so that it is travelling at a reasonably slow speed by the time it reaches its destination. The best case scenario for your voyagers is that the deviation is caused by their ship spinning and the engine pushing in the wrong directions due to that spin. If that is the case the overall effect of the push will be a net zero, meaning their velocity will be the same as before they began to spin. They just need to see which way they are going, and then resume accelerating or decelerating. Slightly worse than this is if somehow the ship got spun around, then stopped spinning and accelerated in a single unknown direction for a while before the crew managed to fix the ship controls. Their velocity now is not the same as it was before the deviation, but remember that they've been accelerating for a long time at this point (or they're close enough to the sun that they can use it as an obvious reference point). If they're close to halfway, then they've been accelerating for years - the deviation caused by even a full day of accelerating in the wrong direction would be less than 1% of their overall velocity. They can still just figure out which direction they're going, and make the small adjustment necessary to correct their velocity. The worst case scenario is something like alien shenanigans causing them to suddenly accelerate to ludicrous speed (say, 0.99c) in an unknown direction. In this case they're probably doomed simply because the energy requirement for decelerating from that speed is absolutely ridiculous (on the scale of converting 9 tenths of the mass of their ship into pure energy for use in slowing themselves down, and doing so with 100% efficiency). However knowing where they are still isn't a huge issue - even travelling at that speed, they'd be off course by a matter of light-hours. So they'll be less than 1% off course - they would be able to take a picture of their surrounds and quickly orient themselves. If you're relying on faster-than-light tech, you actually could be so far away from your intended path that the star field would be significantly different. In this case, you'd want to use the pulsar method that other answers have mentioned. Directions are easily determined by spacecraft using star cameras; but that doesn't tell you where you are. 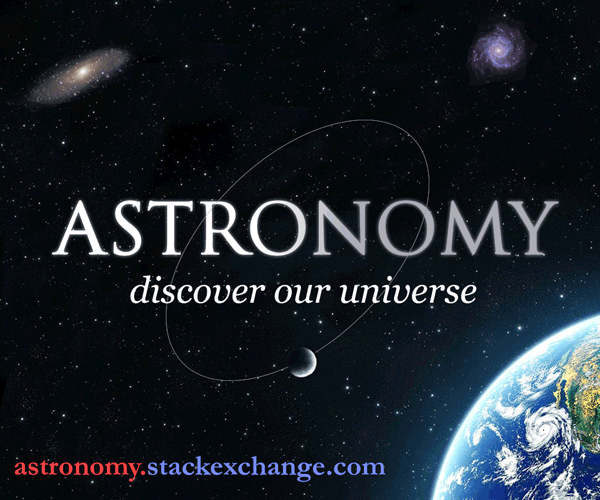 If the satellite has an ephemeris, images of "nearby" planets and moons can be used to determine an approximate location. 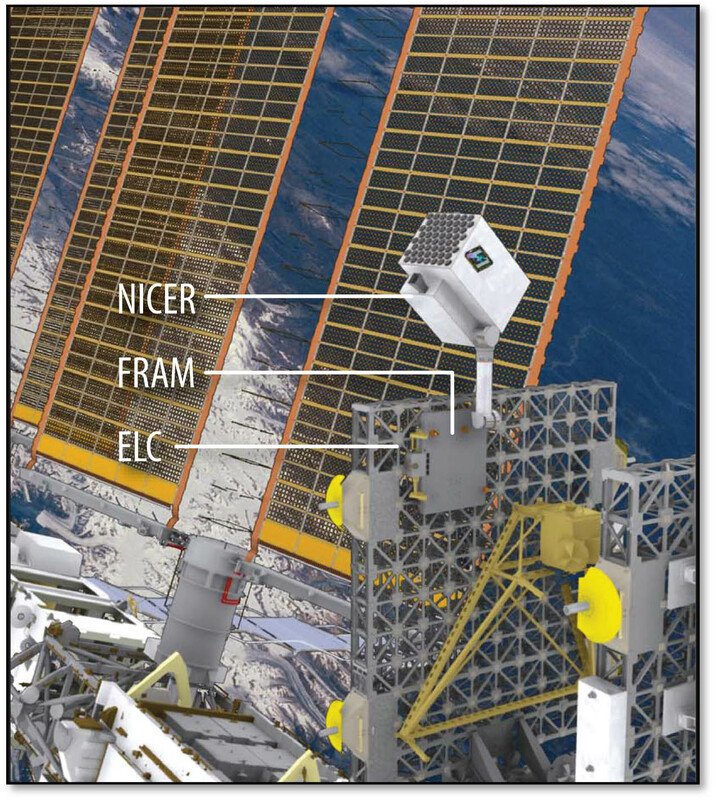 NICER is an X-ray telescope able to detect incoming pulses of X-rays from individual pulsars and record their timing accurately. As the video shows below, after collecting signals from several known pulsars, the spacecraft's location can be "triangulated" in a roughly similar way to how GPS or cell phone tower triangulation works. X-rays can be monitored by a relatively compact telescope, whereas receiving radio pulses from individual pulsars would require a very large antenna or array in order to get a strong signal and separate from all the other sources of radio noise. below: NICER, from Astrophysics on the International Space Station - Understanding ultra-dense matter through soft X-ray timing. We not only know the declination and right ascension (almost latitude and longitude) of the (nearby) stars; we also know how far away they are, so we have a 3-d map. What's more, we have enough spectral information about each one -- color temperatures and relative abundances of various elements -- that we can tell which star is which, perhaps with some ambiguity. With this information and your location, you can plot what the sky should look like. Then you can compare this to what you actually see, and establish your orientation. If you have only a very rough idea of where you are -- say within a few light years -- your plotted map of the sky won't be right, but only the closest stars will be far off. You'll still be able to orient yourself, if not as precisely. And it will be pretty easy to improve your position estimate: nearby star X is farther galactic north than the map says it should be, so we must be farther galactic south than we thought we were. But really, you won't need most of this. 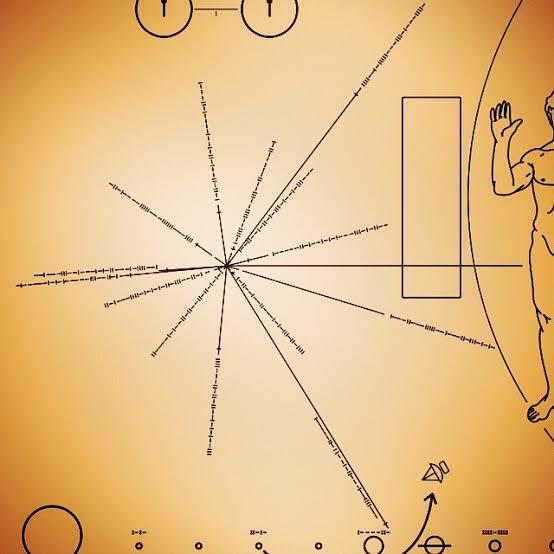 In interstellar space, your destination is almost always going to be (near) a star. As long as you can identify that star, just head toward it. Since we are talking about deep space here, a course deviation will not be very large in respect of the distances involved (unless we are talking about superluminal speeds). This means you still know in which region of space you are, you know which stars/objects are nearby, and you know how to identify them. As long as your sensors still work, it should be pretty easy to calculate your position relative to these stars/objects. If your ship was going with light-speed and beyond, we have to know how fast exactly this ship was going: A vessel flying with 2c will still need years to reach another star, so mismaneuvering would be inconvenient, but not very dangerous. A vessel flying at 10,000c however... That would be pretty serious, considering that you do not know how you deviated from your course. In that case you would have to identify stars in your vicinity (heh, talking about vicinity on a light-year scale) and measure the distance to them. You would need atleast four stars to calculate your position precisely, due to geometric requirements. But how to identify a star? Well, every star emits a peculiar set of wavelengths that is nearly as unique as a finger print. Distance could be calculated by the redshift of the light you receive. The Hitchikers Guide to the Galaxy says that space is big, really, really big. And I say that space is transparent. Very, very, very transparent. At any random point in space many sources of electromagnetic radiation in many different frequencies will be detected. And at any point in space the, for example, ten apparently brightest sources of radiation in a specific band, such as radio waves, visible light, X-rays, etc., will vary by millions of times in their distances and thus in their actual brightness. Some of those radiation sources may be too close and too dim to tell you where you are, others may be too far away and too bright to tell you where you are, but some will be at the right distance. Once they are identified and the angles to them are measured you will be able to tell your position in space to the necessary degree of precision. I have given answers to many similar questions on this and other sites. As most other answers have noted, the question is wrong in assuming that we don’t know how to fix a position far from Earth. It is a matter of quite simple geometry to triangulate one’s position relative to known pulsars (or other distinctive bodies) within a given Cartesian coordinate system. It is worth mentioning, though, that establishing that standard frame of reference is not trivial, because everything is moving. You might know exactly where you are relative to a set of reference pulsars, but if you can’t directly observe your destination, you might not know exactly where it is relative to those same pulsars, especially if you lose track of time. In practice, NASA doesn’t even know exactly where Ganymede will be in 100 years’ time (with sufficient precision to land a ballistic spacecraft at a given point on its surface). You need an almanac continuously updated with direct observations. That said, it’s hard to see how you could lose track badly enough to get really lost, even on a galaxy-crossing voyage. In the worst-case scenario, you might have to carefully observe the spectra of a few hundred similar-looking stars to confirm which is your destination, and then update your almanac accordingly. You’d have to be dead in space for centuries, with no observations and no working clock, to be really confused about what star you’re aiming for. Since the question provides little context, a simple answer is to assume that the spacecraft will still be in contact with Earth or wherever it took off from, and/or possibly other places already colonized by humans if this scenario is assumed to be playing out in the near future (the moon, Mars, Mars' moons, maybe even a few of the most-likely-habitable moons of the giant gas planets, https://en.wikipedia.org/wiki/Habitability_of_natural_satellites). Thus, the spacecraft would never have been lost as their position with respect to their launching point would be constantly tracked through whatever communication means the ship has with human bases on earth and/or throughout the solar system. Albeit realistic, my first answer might seem a it trivial (and therefore not as interesting). Let's spice things up a bit and assume that there's no contact with any other humans outside of the ship. Also, since there's no specification of the speed at which the ship travels, lets assume it's only a fraction of the speed of light (as another answer assumed as well). Since control was lost for only a few hours and interstellar distances are so enormous, the position of the spacecraft would be relatively close to where they were when they lost control and not too far to the curve that traces their intended route. They ship would VERY LIKELY be equipped with good (geocentric) maps of all the observable/known universe before they set out. Given such comprehensive 3D map models, they could easily predict what the sky should look like from any other point on the map. Thus, they could quickly run a computational search to find a match with what they are seeing. That is, they could take snapshots of what they see in different directions from their spacecraft, and then correlate their observations with predictions of how the sky would look like from different points on the map. The search for "simulated" views on the map would be quite small -they only have to generate simulated views from a narrow radius accounting for the distance travelled since they lost control. They could even figure out what new direction they're traveling in (assuming they got completely off course through propulsion/acceleration in the wrong direction when they lost control) if they took snapshots at two different time points, long enough for differences to be perceptible in at least one of the many directions they could collect snapshots from. Then, with knowledge of their new trajectory, they could easily correct course to intersect their prior trajectory at the final destination. If following the EXACT original trajectory were important, they could do that too: calculate the shortest distance from their current trajectory to the original one, and get back on track along the original route with careful manipulation of their propulsion/acceleration systems. Of course, the supercomputer on the spacecraft would do most or all of this automatically (individual pilots would not need to know trigonometry, geometry or physics themselves). It is not trivial to define a coordinate system for space, because everything is moving. I suggest you look into official/technical definition of the International Celestial Reference System (ICRS) and the International Celestial Reference Frame (ICRF) to get an idea of what is involved. While other answers explain methods to get data, the technical definition of ICRF gives you the details. Not the answer you're looking for? Browse other questions tagged science-based space-travel or ask your own question. How to determine one's position in space? Alternative to cryogenic sleep / deep hibernation? Is depicting scenes of sub-FTL deep space travel with burning engines accurate?